This isn't something I do regularly on the blog, but I wanted to show off a photo I took the other day of my Christmas tree. 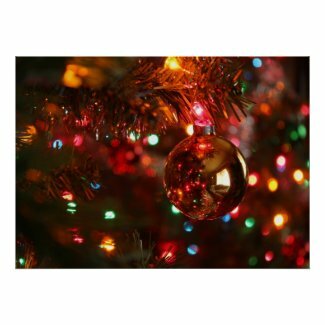 The photo features a golden Christmas ornament with a reflection of Christmas tree lights behind it. I've carefully selected products to feature this photo on, and so far this is what's available for purchase.